216 in stock Need More ? 20 cm ix, 177 p.
Reprint. This translation originally published: San Francisco: HarperSanFrancisco, 1993. 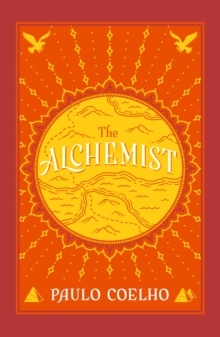 "The Alchemist" is a global phenomenon, selling over 30 million copies worldwide. This exciting new edition includes exclusive content, such as a new forward to the book by the author, an interview with Paulo Coelho, and much more, providing an in-depth look at this much-loved title. This is such a book - a magical fable about learning to listen to your heart, read the omens strewn along life's path and, above, all follow your dreams. This is the magical story of Santiago, an Andalusian shepherd boy who dreams of travelling the world in search of a worldly treasure as fabulous as any ever found. From his home in Spain, he journeys to the markets of Tangiers, and from there into the Egyptian desert, where a fateful encounter with the alchemist awaits him. With Paulo Coelho's visionary blend of spirituality, magical realism and folklore, "The Alchemist" is a story with the power to inspire nations and change people's lives.